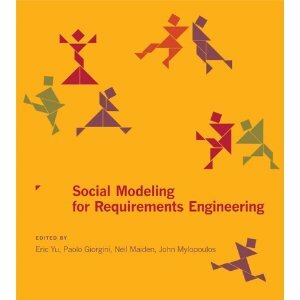 "Social Modeling for Requirements Engineering" - Hot off the press! Sneak preview - Chapter One. MIT Press. Amazon.com. Google books. The i* framework is now part of an international standard! The User Requirements Notation (URN) received final approval as an international standard today in Geneva, Switzerland, as ITU-T Recommendation Z.151. 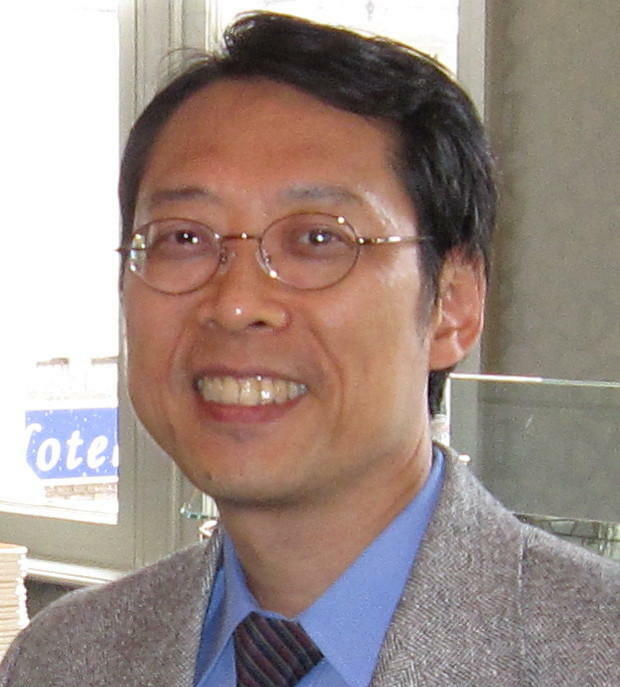 URN consists of the Goal-oriented Requirements Language (GRL), based on Professor Eric Yu's i* modelling framework, and Use Case Maps (UCM), a scenario modelling notation. GRL provides a notation for modelling goals and rationales, and strategic relationships among social actors. It is used to explore and identify system requirements, including especially non-functional requirements. Thanks to the many students, research team members, colleagues, and international collaborators who contributed directly or indirectly. ITU is the UN agency for information and communication technologies. Most software systems are hard to maintain and evolve. Most software is hard to reuse. Most software systems are hard to interoperate with other systems. Many software systems do not meet user needs, especially as the needs change. These issues are being addressed in many different ways in computing research. My contention is that all these problems have to do with a missing representational dimension in software. This is the intentional dimension - the realm of knowledge representation that deals with intents and motivations, goals and reasons, alternatives and choices, beliefs and assumptions. Current software representations emphasize operations on data (programming languages) or assertions about properties (specifications). Requirements describe the relationship between the system and the environment, usually in terms of activities and information flows, constraints, and so on. These representations (modelling schemes and languages) are non-intentional. They do not allow intentional aspects to be expressed. Yet, intentional concepts are used throughout the actual work of software development. During a software project, goals are set, some are achieved, others are revised, sometimes abandoned. 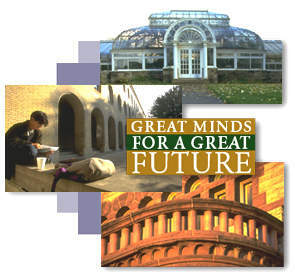 Alternatives are generated and assessed; some are further explored, selected, and become part of the solution. Assumptions are made, validated, sometimes withdrawn. Hidden assumptions are revealed and challenged. Furthermore, these intentional concepts are manipulated within group and team settings. Intentionality originates from the many organizational participants and stakeholders in a project. They bring competing and complementary demands and knowledge and skills and values. Multiple systems that interact or components within a system may carry intentionality from different stakeholders. All of these are part and parcel of everyday software work. Yet, existing representations hardly support these intentional processes and relationships. Non-intentional representations that are in common use today are appropriate for recording the results of software work, but not the process or the reasoning behind them. My contention is that this missing knowledge contributes in large part to the difficulty in understanding, evolving, and reusing software, and in making them interoperate. In fact, the product of software work should include not just executable code, and not just designs and specifications and requirements expressed in non-intentional terms, but also the rich interconnected web of intentional relationships. In our research, we are using intentional relationships to link representations of business requirements, architectural design, and run-time operations. The main relationships are goal refinement and means-ends relationships and argumentation (beliefs and assumptions). These intentional relationships capture and support the reasoning process for deriving execution-level processes from architectural designs, which in turn are derived from business requirements. The use of intentional concepts provide guidance and support during the forward engineering process. They also provide the key linkages needed for supporting evolution. Run-time operations are monitored against requirements. Intentional modelling needs to characterize what an agent wants, and how these wants are met by the abilities of other agents. If wants and abilities do not match up, there needs to be adjustments on either or both sides. This is done by going up or down the means-ends and task-decomposition structures of agents and re-distributing responsibilities among agents. The strategic implications of various alternative re-structuring of intentional dependencies among agents need to be analyzed. This is an important step during requirements analysis. Much of Requirement Engineering research focuses on requirements specification of behaviour rather than on high-level strategic requirements. We believe that software should be characterized as intentional structures. Current conceptions of software architecture view architectural units or components as behavioural units which interact with each other through messages, data and control flow, etc. This characterization omits important aspects which are at the intentional level of description. We would like to view software components as having wants and abilities, and depending on each other in order to achieve goals. What kinds of knowledge do we need? What should the knowledge be about? What are the appropriate ontological concepts? How do we represent and organize the knowledge? What abstraction mechanisms and structuring dimensions are needed? What are their semantics and computational properties? How can we exploit the knowledge? What analysis techniques can be devised? What questions/queries should be answerable? How do we construct new knowledge structures from existing ones? We are studying these in software project teams, extracting experiences, and trying out representation schemes and improving upon them. There are more specific research issues for each area in which we apply this "intentional paradigm". See Research Areas. More generally, we are dealing with the management of complex knowledge products and processes -- supporting the construction, maintenance, exploitation, and evolution of knowledge artifacts. The software development setting is but one example of complex knowledge-intensive work settings. See Knowledge Management Lab. The intentional paradigm is being applied to several projects. See Research Projects. My research centres around the concept of strategic agents. More specifically, my research goal is to develop techniques for modelling, analyzing, and redesigning relationships among intentional, strategic actors. Application areas are outlined below. These include information systems analysis and design, requirements engineering, software engineering, business modelling and redesign, and knowledge management. My research objective is to develop an "agent-oriented" approach to systems analysis and design that focuses on the intentional, strategic character of organization actors. Such an approach would provide a better match for the increasingly flat, networked organizations of today and for the emerging agent-oriented computing paradigm. As software technologies advance, attention is increasingly being focused on the early phases of system development. Getting the requirements right remains one of the foremost challenges in software engineering. Requirements engineering is now firmly established as a research area with its own conferences (RE, REFSQ) and a journal (REj). Models and languages, tools and methodologies are being developed. My primary interest in this area is to develop models and techniques for helping understand the organizational context in which systems function, and for reasoning about such contexts. Such understanding is needed to develop systems that address real needs, and that can evolve to meet changing needs. The approach taken partly draws on a framework for dealing with non-functional (or quality) requirements. Besides providing desired functionality, a system needs to meet non-functional requirements such as accuracy, security, performance, costs, and so forth. The ``NFR framework'' treats non-functional requirements as goals that need to be addressed systematically and traded off amongst each other during the design process. The architecture of software systems need to be described at the intentional level, so as to characterize the wants and abilities of components, and to analyze opportunities and vulnerabilities. Intentional architectural descriptions fit well with agent-oriented characterizations of enterprise. This enables systems design to be treated as part of enterprise design. My research objective here is to adapt strategic actor relationships modelling to the system architecture domain. Business processes are key to the operation of most organizations. A thorough understanding of the business processes of an organization is a necessary prerequisite for developing effective IT support for those processes. Modelling (or ``mapping'') techniques are widely used to document and to help explain, analyze and redesign processes. The radical ``reengineering'' of business processes highlighted the need for appropriate modelling techniques. Today, Internet technologies and e-commerce are leading to fundamental changes in business structures. Traditional techniques that have been borrowed from systems analysis and design are ill-equipped to deal with these changes. My interest in this area is to develop and introduce techniques that allow the strategic interests of various stakeholders and actors to be considered when searching for innovative process solutions and business configurations. While BI technologies are enabling decision makers to gain business insights ever more quickly, actions prompted by those insights cannot be implemented quickly if IT systems are inflexible and hard to adapt. The idea in this research is take advantage of strategic business modeling, so as to connect BI results and insights into the information systems lifecycle more directly. An adaptive enterprise architecture would be ready to accommodate various kinds of change, making use of available adaptive software architectures and mechanisms. Software engineering is concerned with the methodical, systematic production of quality software. Despite advances in technology, successful software engineering still relies heavily on human efforts. To benefit from technical advances, software engineering organizations need to continuously redesign themselves appropriately. For example, switching to object-orientation, adopting client/server, promoting software reuse all require substantial organizational changes. Software processes (e.g., software development processes, software maintenance processes, etc.) have received considerable attention in the software engineering field in the past decade. Various modelling schemes have been proposed, mostly as basis for automating or providing technological support to software engineering activities. My interest here is to use organization modelling techniques to better understand the implications of various software technologies for software organizations, and how these organizations and their processes can be designed to better take advantage of these technological advances..
Software businesses are increasingly being organized as ecosystem. The success of a software endeavour today relies often on a community of users and third-party developers. Software decisions at many levels are tied to business strategies and decisions. Technical choices need to be understood in the context of the strategies of many other players. The research objective is to develop methods and techniques to bring software and business reasoning together, to enable technical people to better understand business strategies and business models and bring that understanding into their technical decision making. Software engineering innovations are not merely technical in nature, but are deeply social, with hidden assumptions about human knowledge and skills and learning. New software techniques stand or fall not only as a result of the soundness of their technical advances, but more importantly because of the human social and knowledge factors. The research objective is to analyze each software innovation as a knowledge management innovation, so as to provide a more detailed analysis of successes and failures, using i*-like strategic modeling. When systems are no longer designed from scratch under a unified grand scheme, the traditional notion of architecture which parcels out functionality to components according to a single coherent set of principles (e.g., flexibility, reliability, performance, reuse, etc.) is no longer adequate. System components are increasingly being viewed as (relatively) autonomous agents who request services from each other. Relationships among components are no longer adequately described by syntactic and semantic characterizations of interfaces and interconnections. One component may seek particular performance and reliability characteristics on specific functionalities from the components that it uses. These latter components may in turn depend on others for a different set of characteristics on other functionalities. System components may be organized via market mechanisms or longer-term relationships, and may involve reward structures (e.g., payments, licensing, etc.) This perspective and approach complements the rapidly emerging agent-oriented software technologies (at the implementation level). Many formal and mathematical frameworks have been developed to deal with computer system and network security, and more recently, privacy and trust. The strategic actor relationships approach allows trust, security, and privacy to be modelled and analyzed from a social actors perspective. This approach is especially relevant when dealing with new system architectures and business models, e.g., in white-box security (where the attacker has full access to the software, as in the case of software in mobile devices), or in cloud computing. Climate change and energy shortages and imbalances could lead to unprecedented upheavals as well as opportunities for innovations and renewals. Social modeling methods can be used to analyze various innovations, including requirements engineering for online media to facilitate and enable sustainable communities. Design knowledge from past successes and failures could be mined and reused. Vast amounts of data can be monitored and analyzed for community decision making. Security threats need to be anticipated and addressed. Collaboration among many parties and interest groups could be analyzed as ecosystems. Mutually reinforcing socio-technical interactions are crucial. Social modeling can also facilitate interdisciplinary understanding and collaboration essential for tackling sustainability challenges. The common thread through my various research interests is the need to manage complex knowledge structures. We develop conceptual modelling techniques to model real world phenomena, to manage large bodies of knowledge, and to support analysis and reasoning. The techniques aim to provide a sufficiently rich characterization of a domain ("ontologies"), drawing on knowledge representation techniques in artificial intelligence to provide reasoning support. The social modeling approach initiated by the i* modeling framework continues to see more adoption in industry and experimentation by researchers worldwide. Despite its adoption as part of an international standard, many research issues remain to be addressed to attain a stronger theoretical base and to overcome practical challenges. Representing and Managing Design Knowledge. Design knowledge is at the heart of most technical and engineering fields. In this research, we study the structure of knowledge in various design domains, focusing on design know-how (means-ends knowledge, solutions to problems or to achieve design goals). We develop methods for extracting, compiling, and restructuring the knowledge for later or broader reuse. The longer term vision is to establish the means-ends relationship as a central mechanism for structuring knowledge. Building open information infrastructures based on this knowledge dimension could provide a significant boost for technology and design disciplines. We seek to recruit highly qualified individuals from Canada and from around the world. We offer studentships and employment opportunities. I will be happy to help you explore topics and programs that would suit your background and aspirations. Post-Doctoral Fellows - You will hold key responsibilities in a research project team. Good research and writing skills are required. Excellent vehicle for launching a research career. Competitive salaries. Teaching duties pay extra. Ph.D. Students - You should have an excellent academic record, a Master's degree from a recognized programme, and deep interest and commitment in pursuing research. Writing skills are important. Masters Students - The Master of Information (MI) degree offers professional education in the study of information in a multidisciplinary context. A thesis option is available. For students interested in specialized interest areas of faculty members, Reading Courses are sometimes offered. I will be happy to talk with you if you find my research areas to be of interest. There are many interesting thesis or research project topics under the research areas within my research interests. I will be happy to provide further detail to help you explore topics that would suit your background and aspirations. modelling and reasoning about trust, security, and privacy. Thanks to all current and past students and team members who contributed to the research! I am a Faculty Member at the Faculty of Information, with a cross-appointment at the Department of Computer Science. I am a member of the Knowledge Management Lab of the Bell University Labs. I am affiliated with the Knowledge Media Design Institute and will be happy to supervise students in the Collaborative Program. See my profile for KMDiary. Industry partners: SAP Business Objects, IBM Cognos, Bell Canada, Zerofootprint, and others. (pdf) (ps) (html) downloadable in Acrobat pdf, Postscript, HTML formats respectively. The version indicated in smaller font may be of lesser print quality. LNCS volume 5600. Springer, 2009. 530 pp. ISBN 978-3-642-02462-7. LNCS volume 5231. Springer, 2008. 550 pp. ISBN 978-3-540-87876-6. Papers published in the Requirements Engineering Journal, the LNCS series, and the LNBIP series are Copyright © by Springer-Verlag. Book chapter in: Social Modeling for Requirements Engineering. 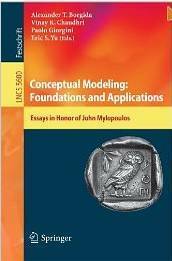 E. Yu, P. Giorgini, N. Maiden, J. Mylopoulos (eds). Cambridge, MA: MIT Press. 2011. pp. 3-10. [SAC11-gm] Jennifer Horkoff, Eric Yu. Analyzing Goal Models – Different Approaches and How to Choose Among Them. 26th ACM Symposium on Applied Computing (SAC’11). Tai Chung, Taiwan, March 21-25, 2011. 8pp. [REV10] Jennifer Horkoff, Eric Yu. 5th Int. Workshop on Requirements Engineering Visualization (REV’10), at RE’10, Sydney, Australia, September 28, 2010. pp. 1-10. Interactive Goal Model Analysis Applied - Systematic Procedures versus Ad hoc Analysis. 3rd IFIP WG8.1 Working Conference on the Practice of Enterprise Modelling (PoEM2010), Delft, The Netherlands, November 9-12, 2010. pp. 130-144. [ER10] Jennifer Horkoff, Eric Yu. 29th Int. Conf. on Conceptual Modeling (ER’10), Vancouver, Canada, Nov. 1-4, 2010. pp. 59-75. [PoEM10-bim] Daniele Barone, Eric Yu, Jihyun Won, Lei Jiang, and John Mylopoulos. 3rd IFIP WG8.1 Working Conference on the Practice of Enterprise Modelling (PoEM2010), Delft, The Netherlands, November 9-12, 2010. pp. 31-45. [ICISO10] Daniel Gross, Eric Yu. Resolving Artifact Description Ambiguities During Software Design Using Semiotic Agent Modelling. 12th IFIP WG8.1 Working Conference on Informatics and Semiotics in Organisations (ICISO’10) Reading, U.K. 19-21 July, 2010. pp. 77-86. [SAC11-xoff] Golnaz Elahi, Eric Yu. Requirements Trade-offs Analysis in the Absence of Quantitative Measures: A Heuristic Method. [STPSA10] Tong Li, Lin Liu, Golnaz Elahi, Eric Yu, Barrett R. Bryant. 5th IEEE International Workshop on Security, Trust, and Privacy for Software Applications (STPSA’10), at COMPSAC’10. Seoul, Korea. July 19, 2010. pp. 127-133. [RRT10] Yun Song Jian, Tong Li, Lin Liu and Eric Yu. Goal-Oriented Requirements Modelling for Running Systems. 1st Int. Workshop on requirements@run-time (RRT), at RE’10, Sydney, Australia, September 28, 2010. 8pp. [MSM10] Andrew Hilts, Eric Yu. Int. Workshop on Modeling Social Media (MSM), at Hypertext’10, Toronto, June 13, 2010. ACM Press. 4 pp. 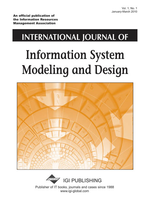 International Journal of Information System Modeling and Design, IGI-Global, 1(4) Oct-Dec., 2010. pp. 1-23. [IJIS10] Amyot, D., Ghanavati, S., Horkoff, J., Mussbacher, G., Peyton, L. and Yu, E.
International Journal of Intelligent Systems (IJIS), Vol. 25, Issue 8, August 2010, 841–877. 4th International Conference on Research Challenges in Information Science (RCIS), France, IEEE Publication, May 2010. 223-234.
International Conference on Software Process, Paderborn, Germany, July 2010. LNCS 6195. Springer. 163-174. Agile Conference, Research-in-Progress Workshop, Agile Alliance, Nashville TN, USA, August 2010. pp. 21-24. A. T. Borgida, V. Chaudhri, P. Giorgini, E. S. Yu (eds). LNCS volume 5600. Springer, 2009. pp. 99-121. Proc. 2nd IFIP WG8.1 Working Conference on the Practice of Enterprise Modeling, PoEM 2009. Stockholm, Sweden. Nov. 2009. 145-160. Requirements Engineering, Springer. 15(1) 41-62. March 2010. Proc. 17th IEEE Int. Requirements Engineering Conference. Atlanta, Georgia, USA. Aug 31- Sept 4, 2009. 243-248. 21st International Conference on Advanced Information Systems (CAiSE’09) Forum. CEUR Proceedings vol. 453. pp. 19-24. [ISeBj08] Reza Samavi, Eric Yu, and Thodoros Topaloglou. [IJAOSE08] Lin Liu, Qiang Liu, Chi-Hung Chi, Zhi Jin, Eric Yu. International Journal of Agent-Oriented Software Engineering. Inderscience Publishers. 2(3):324- 349. 2008. [POEM08] G. Elahi, E.Yu, M.C. Annosi. IFIP 8.1 Working Conf. Practice of Enterprise Modeling. Stockholm 2008. 15-29. [PAKM08] M. Fazel-Zarandi, E. Yu. 7th Int. Conf. Practical Aspects of Knowledge Management, Yokohama, Japan. 2008. LNCS vol. 5345, Springer. pp. 232-243. [ICEC08] Reza Samavi, E. Yu, T. Topaloglou. Int. Conf. E-Commerce. Innsbruck, Austria. ACM. August 2008. 15. [REFSQ08] M. Strohmaier, J. Horkoff, E. Yu, J. Aranda, & S. Easterbrook. Proc. Int. Working Conf. Requirements Engineering: Foundations for Software Quality (REFSQ'08), Montpellier, France, 2008. 153-167. [STPSA08] G. Elahi, Z. Lieber, E. Yu. 3rd IEEE Int. Workshop on Security, Trust, and Privacy for Software Applications (STPSA 2008), at 32nd COMPSAC, Turku, Finland, August 1, 2008. 6 pp. [RIGiM08] J. Horkoff, G. Elahi, S. Abdulhadi, E. Yu. 2nd Int. Workshop on Requirements, Intentions, and Goals in Conceptual Modeling, in conjunction with the 27th Int. Conf. on Conceptual Modeling. October 2008, Barcelona, Spain. 249-260..
[ER07a] Amy Lo and Eric Yu. [ER07b] Golnaz Elahi and Eric Yu. [WER07a] Catalin Bidian and Eric Yu. Proc. 10th Workshop on Requirements Engineering (WER’07) Toronto. pp. 139-148. [WER07b] Faranak Farzad and Eric Yu. Proc. 10th Workshop on Requirements Engineering (WER’07) Toronto. pp. 207-216. In: Proc. Hawaii Int. Conf. Systems Science, 2007. Proceedings of the Workshop on Trends in Enterprise Architecture Research (TEAR'06), at the Enterprise Computing Conference (EDOC) Hong Kong, October 2006. Also in: Social and Human Elements of Information Security: Emerging Trends and Countermeasures. Manish Gupta, Raj Sharman, eds. IGI-Global (2009) Ch. 10, 148-177. 14th IEEE Int. Requirements Eng. Conf. (RE'06) Minneapolis/St. Paul, Minnesota, USA, Sept 11-15, 2006. In: Proc. Workshop on Service-Oriented Computing: Consequences for Engineering Requirements (SOCCER'06) L. Baresi, X. Franch, N. Maiden, eds. at the 14th IEEE Int. Requirements Eng. Conf. Minneapolis/St. Paul, Minnesota, USA, Sept 11-15, 2006. In: Proc. CASCON 06. Toronto, Canada, Oct 16-19, 2006. IEEE Software, May/June 2006 (Vol. 23, No. 3) pp. 26-33. 30th Annual International Computer Software and Applications Conference (COMPSAC), Chicago, USA, Sept 17-21, 2006. In: X. Zhou et al. (Eds. ): Frontiers of WWW Research and Development - Proceedings of the 8th Asia Pacific Web Conference (APWeb 2006), LNCS 3841, 2006. pp. 917-922. 13th IEEE Int. Conf. on Requirements Engineering, Paris, Sept 2005. pp. 199-208. 13th IEEE Int. Conf. on Requirements Engineering, Paris, Sept 2005. pp. 53-62. [JCST05] L. M. Cysneiros, V. Werneck, E. Yu. Journal of Computer Science & Technology. Special Issue on Software Requirements Engineering. ISTEC. 5(2): 71-79. August 2005. [DKEj05] B. Hui and E. Yu. Data and Knowledge Engineering. 54(1) 2005. pp 29-55. Information Systems, Elservier. 29(2) 2004. pp 187-203. AAAI Spring Symposium on Agent-Mediated Knowledge Management (AMKM-03) Stanford University, March 24-26, 2003. [SELMASch03] L.M. Cysneiros and E. Yu. [Trust-ch03] E. Yu and L.M. Cysneiros. [REPersp-ch03] L.M. Cysneiros and E. Yu. Book chapter in Perspectives on Software Requirements. Julio Leite and Jorge Doorn, (eds.) Kluwer Academic Publishers. 2004. pp. 115-138. [Trace02] D. Gross and E. Yu. First International Workshop on Traceability in Emerging Forms of Software Engineering, Automated Software Engineering Conference, Edinburgh, U.K., October 2002. pp. 1-8. 4th Workshop on Deception, Fraud and Trust in Agent Societies. (Trust2001). Bologna, Italy. July 2002. 4th International Workshop on Agent-Oriented Information Systems (AOIS’02). Toronto. May 27-28, 2002. Workshop on Software Engineering for Large-Scale Multi-Agent Systems, at the International Conference on Software Engineering (SELMAS), Orlando, Florida. May 19, 2002. 14th International Conference on Advanced Information Systems Engineering (CAiSE’02), Toronto, May 27-31, 2002. Agent-Oriented Software Engineering AOSE-2001 Workshop Proceedings. LNCS 2222. Springer Verlag. pp. 206-225. 20th International Conference on Conceptual Modeling (ER-2001). Yokohama, Japan, November 27-30, 2001. In: Trust in Cyber-Societies - Integrating the Human and Artificial Perspectives. R. Falcone, M. Singh, Y.H. Tan, eds. ICSE-2001 Workshop: From Software Requirements to Architectures (STRAW 2001) May 2001, Toronto, Canada. pp. 13-21. ICSE-2001 Workshop: From Software Requirements to Architectures (STRAW 2001) May 2001, Toronto, Canada. pp. 22-30. Wirtschaftsinformatik. 43(2) April 2001. pp. 123-132. Requirements Engineering. Springer-Verlag. 6(2001) 1: 18-36. IEEE Software. 18(1): 92-96. January/February 2001. Proceedings of the 3rd Workshop on Deception, Fraud and Trust in Agent Societies. Proceedings of the 14th World Congress of International Federation of Automatic Control (IFAC’99), July 5-9, 1999, Beijing, China. pp. 127-132. Permagon, Elsevier Science. in Software Architecture, Patrick Donohue, ed., Kluwer Academic Publishers. 1999. pp. 545-564. Communications of the ACM, 42(1): 31-37, January 1999. Communications of the ACM, 41(12): 64-70, December 1998.
in: Structures and Relations in Knowledge Organization, Advances in Knowledge Organization, vol 6 (1998). Proceedings of the 5th International ISKO Conference, 25-29August 1998, Lille, France. W.M. el Hadi, J. Maniez, and S.A. Pollitt, eds., Ergon Verlag, 1998. pp. 125-132. Proceedings of the 4th International Workshop on Requirements Engineering: Foundations of Software Quality (8-9 June 1998, Pisa, Italy). E. Dubois, A.L. Opdahl, K. Pohl, eds. Presses Universitaires de Namur, 1998. pp. 15-22. Proc. 9th International Workshop on Software Specification and Design (April 16-18, 1998, Ise-Shima, Japan). IEEE Computer Society, 1998. pp. 34-42. OMG-DARPA-MCC Workshop on Compositional Software Architectures, Janurary 6-8, 1998, Monterey, California. Proceedings of International Conference on Enterprise Integration and Modelling Technology, October 28-30, 1997, Turin, Italy. Proceedings of 3rd International Workshop on Requirements Engineering: Foundations for Software Quality (June 16-17, 1997, Barcelona, Catalonia). E. Dubois, A.L. Opdahl, K. Pohl, eds. Presses Universitaires de Namur, 1997.
in: Cooperative Information Systems: Trends and Directions, M. P. Papazoglou and G. Schlageter (eds), Academic Press, 1997. pp. 315-363. Automated Software Engineering, Kluwer Academic Publishers, vol. 4, no. 3, July 1997. pp. 291-317. Requirement Engineering, Springer-Verlag, vol. 1, no. 4, 1996. pp. 238-260. IEEE Expert: Intelligent Systems and Their Applications, August 1996, pp. 16-23. Int. Journal of Intelligent and Cooperative Information Systems, vol. 4, no. 2/3, 1995, pp. 125-144. World Scientific Publishing. (a revised and extended version of ER'94 paper). A revised version appears in: Cooperative Information Systems: Trends and Directions, M. P. Papazoglou and G. Schlageter (eds), Academic Press, 1997. pp. 293-312. Papers on Non-Functional Requirements may be found in the DKBS ftp directory. Softgoal modelling and reasoning originated from the NFR framework. Details may be found in the NFRbook. See the i* and GRL webpages for more details. A tutorial given at IRST/University of Trento, Italy, December 2001. Invited talk at AOIS @ CAiSE 2001. June 2001. "Knowledge, Action, and Systems -- Some emerging foundational issues in Computing ... Can Information Studies Help?" (ppt slides) Seminar at FIS. February 2001. Presented on the occassion of the visit by Prof. Axel van Lamsweerde. November 2000. Presentation at Tsinghua University, Beijing, China. July 8, 1999. The OME tool has been developed to support i* and NFR modelling. The open source OpenOME tool is being developed. See the i* tools page on the i* wiki for many software tools developed by other research groups to support i* modeling and analysis. ITU-T Z.151 (2008-11). i* is the basis for GRL (Goal-oriented Requirements Language), which together with UCM (Use Case Maps), constitute the User Requirements Notation URN. URN was adopted as an international standard in November 2008. The full standards document "User Requirements Notation (URN) – Language definition" may be downloaded from here. ITU-T Z.150 (2003-08). This international standard defines the requirements for a user requirements notation. The full standards document "User Requirements Notation (URN) – Language requirements and framework" may be downloaded from here. See listing for Eric Yu on Eventseer.net. Under the section FACTS ABOUT ERIC YU (you may need to scroll down), click on the "participated events" tab. The list is generated from web listings so may not be fully accurate or complete. Associate Editor, since April 2005. Member of Editorial Board, since May 2006. Associate Editor, since January 2009. (formerly Institution of Electrical Engineers), and the British Computer Society. Member of Editorial Board, since June 2005. You can reach me using either my ischool or CS coordinates. (416) 978-7330 (416) 946-7132 Please visit again soon.